The Portfolio Center Goes to WMS & WGN! | SPOOL: Creative. Industry. Unraveled. The Portfolio Center Goes to WMS & WGN! 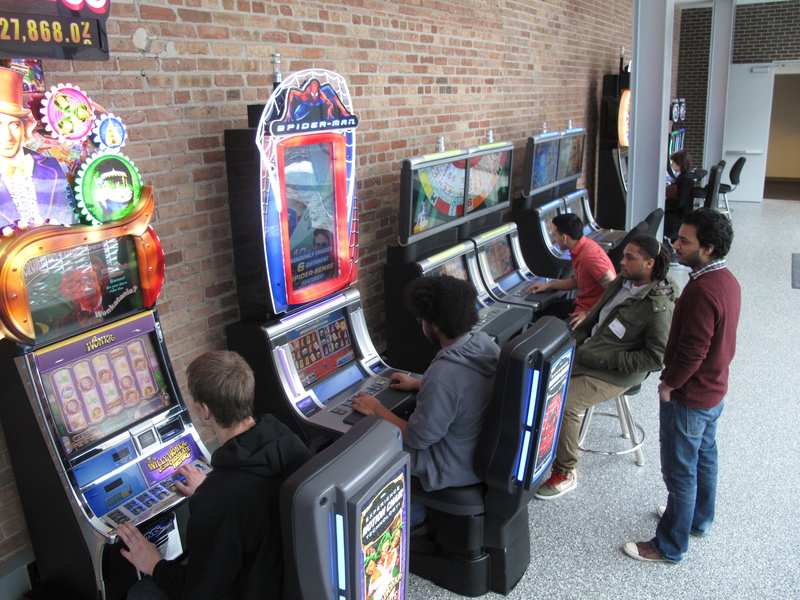 The Portfolio Center and Interactive Arts and Media teamed up to take students to WMS Gaming, a leader in digital and electronic gaming machines used in the casino industry. We had a great tour led by Michelle Havrilla, Senior Staff Campus Relations as she does all the recruiting for internships for WMS. Their campus looks unassuming from the street as WMS started as a company that made pinball and video arcade games. However, as you approach their main building it is stunning as is was just built July 2012, and is a LEED building, filled with light and airiness. We started our tour with a presentation on the history of WMS. We then got a tour of the main facilities and learned about the process of having a great idea for a game, and how it actually comes to fruition. We then saw where games are tested, learned about the audio and acoustics that are incorporated into the games, and finally students were able to play and test the games. We ended our tour with lunch on the fifth floor rooftop, overlooking the skyline and the Chicago River, and met with recent interns-turned-employees and had a wonderful Q&A with them. 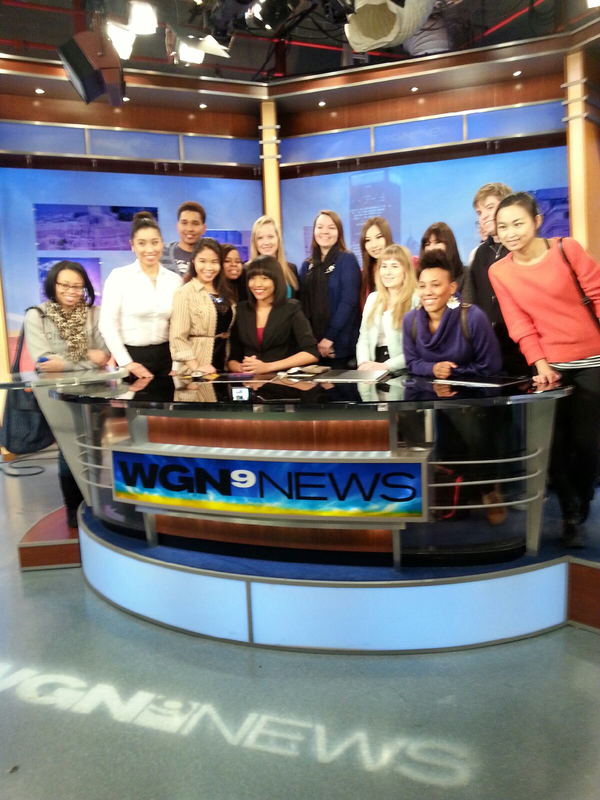 I tagged along to WGN with Lillian William’s Broadcast News Writing class this week. We toured with Columbia College Alumni Celeste Ball, who is now a producer for CLTV and a news writer for WGN. She gave fabulous insight on internships and professionalism. 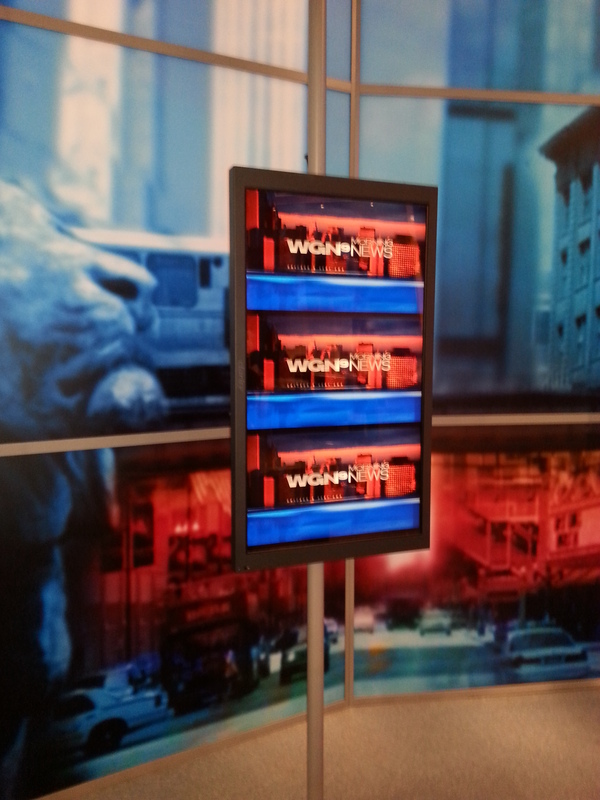 We toured the studios and met some WGN Morning News Team folks along the way, and even Tom Skilling! We learned about the process of news writing and also getting stories on the web, and how vital that is to know how to do. We then went into the control room, and actually got to watch the 11:00am news from there! 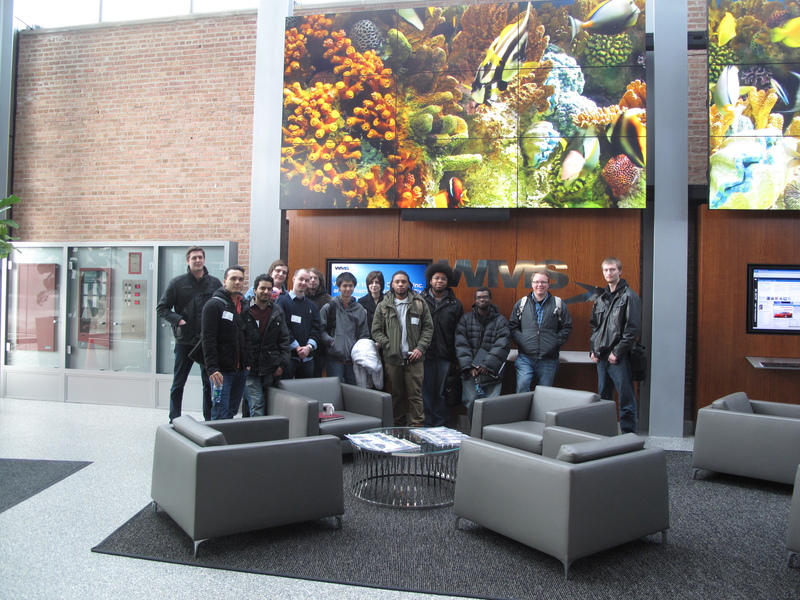 It was a great experience for the students to see and learn behind the scenes, and to meet all of these great industry professionals. If you missed the visits, schedule an appointment with me to learn what these professionals want to see in your portfolio.